I believe people with goals know the direction they want to go and how they are going to get there. I am goal crazy! I started Goal Keepers and developed Create. Define. Energize. to give my current team a step by step guide to help them work towards achieving what they desired most. After seeing this work first hand, I wanted to make the process something I could share with women everywhere who want help with the next step in achieving their goals. If you are ready to stop wishing and start doingcheck out my notebook – it will be the best $29.95 you’ve ever spent! 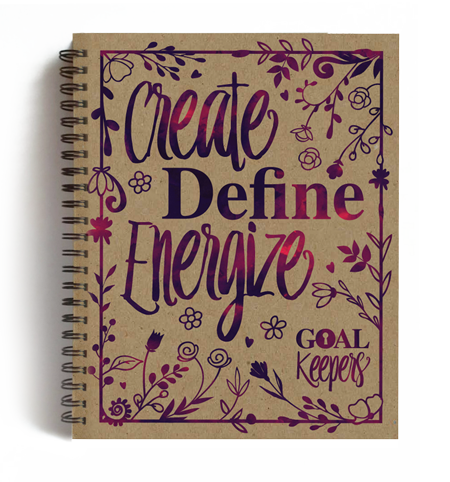 Order your Goal Keeper Notebook today! The process I have created is sure to help you achieve your goals sooner rather than later. Don't wait another day to do tomorrow what you can start TODAY! Have questions? What more information? Maybe you would like a presentation for your team? Copyright © 2015 Goal Keepers, LLC. All rights reserved.